"First Edition" redirects here. For other uses, see First Edition (disambiguation). The bibliographical definition of an edition includes all copies of a book printed “from substantially the same setting of type,” including all minor typographical variants. The numbering of book editions is a special case of the wider field of revision control. The traditional conventions for numbering book editions evolved spontaneously for several centuries before any greater applied science of revision control became important to humanity, which did not occur until the era of widespread computing had arrived (when software and electronic publishing came into existence). The old and new aspects of book edition numbering (from before and since the advent of computing) are discussed below. According to the definition of edition above, a book printed today, by the same publisher, and from the same type as when it was first published, is still the first edition of that book to a bibliographer. However, book collectors generally use the term first edition to mean specifically the first print run of the first edition (aka "first edition, first impression"). Since World War II, books often include a number line (printer's key) that indicates the print run. A "first edition" per se is not a valuable collectible book. A popular work may be published and reprinted over time by many publishers, and in a variety of formats. There will be a first edition of each, which the publisher may cite on the copyright page, such as: "First mass market paperback edition". The first edition of a facsimile reprint is the reprint publisher's first edition, but not the first edition of the work itself. The Independent Online Booksellers Association has a A First Edition Primer which discusses several aspects of identifying first editions including publishing and specific publishers way of designating first editions. Publishers often use the same typesetting for the hardcover and trade paperback versions of a book. These books have different covers, the title page and copyright page may differ, and the page margin sizes may differ (same type area, smaller trim), but to a bibliographer they are the same edition. From time to time, readers may observe an error in the text (or, in the days of metal type, a piece of broken type), and report these to the publisher. The publisher typically keeps these "reprint corrections" in a file pending demand for a new print run of the edition, and before the new run is printed, they will be entered. The method of entry, obviously, depends on the method of typesetting. For letterpress metal, it typically meant resetting a few characters or a line or two. For linotype, it meant casting a new line for any line with a change in it. With film, it involved cutting out a bit of the film and inserting a new bit. In an electronic file, it means entering the changes digitally. Such minor changes do not constitute a new edition, but introduce typographical variations within an edition, which are of interest to collectors. A common complaint of book collectors is that the bibliographer's definition is used in a book-collecting context. For example, J. D. Salinger's The Catcher in the Rye as of 2016[update] remains in print in hardcover. The type is the same as the 1951 first printing, therefore all hardcover copies are, for the bibliographer, the first edition. Collectors would use the term for the first printing only. First edition most often refers to the first commercial publication of a work between its own covers, even if it was first printed in a periodical: the complete text of Ernest Hemingway’s The Old Man and the Sea appeared in the September 1, 1952 issue of Life, yet the generally accepted “first” edition is the hardcover book Scribner’s published on September 8, 1952. The term "first trade edition," refers to the earliest edition of a book offered for sale to the general public in book stores. For example, Upton Sinclair's 1906 novel The Jungle was published in two variant forms. A "Sustainers' Edition", published by the Jungle Publishing Company, was sent to subscribers who had advanced funds to Sinclair. 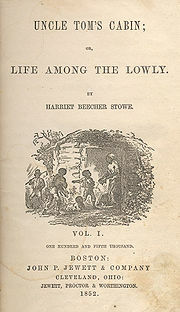 The first trade edition was published by Doubleday, Page to be sold in bookstores. Many book collectors place maximum value on the earliest bound copies of a book—promotional advance copies, bound galleys, uncorrected proofs, and advance reading copies sent by publishers to book reviewers and booksellers. It is true that these are rarer than the production copies; but given that these were not printed from a different setting of type (just the opposite; the main purpose of galleys and proofs is to double-check the typeset matter that will be used for production), they are not different editions. Publishers use "first edition" according to their own purposes, and consequently among them the designation is used very inconsistently. The "first edition" of a trade book may be the first iteration of the work printed by the publisher in question or the first iteration of the work that includes a specific set of illustrations or editorial commentary. Publishers of non-fiction, academic works, and textbooks generally distinguish between revisions of the text of the work, by typically citing the dates of the first and latest editions of the work in the copyright page. Exceptions to this rule of thumb include denominating as a "second edition" a new textbook that has a different format, title, and/or author(s) because a previous textbook that shares only the same subject matter as the "second edition" is considered the first edition. The reason for this stretch of the definition is often for the short-term marketing advantage of the new textbook, because, although first editions are often considered more valuable than later editions to book collectors, being a subsequent edition of a previous textbook gives the impression that the textbook denominated as a subsequent edition is more authoritative. Publishers sometimes denominate a new iteration of a work a "revised edition" or the "(N)th edition, revised" when the previous iteration has been editorially revised or updated yet the author or publisher does not want to denominate it the "(N+1)th edition" ("N" being the number of the previous edition) for some subjective reason. Conversely, a new iteration of a work that is not substantially different may be denominated a "new edition" or the "(N+1)th edition". The qualitative difference between a "revised edition" and a "new edition" is subjective. This is analogous to the way that software publishers may denominate an iteration "version 3.7" and the subsequent updated iteration "version 4" instead of "version 3.8". The subjective judgment of the degree of the significance of the change made with the new iteration or the perceived marketing advantage of designating the new iteration as a specific number determines how the new iteration is numbered. Therefore, the designation "revised edition" does not designate any quality or quantity of revision with certainty. When a non-fiction book is first published it sometimes instigates more research on its subject. The author may determine that new information justifies the revision of the book. A new iteration of the book would be published as a new edition, which may be denominated a "revised and updated edition". However, as with the denomination of "revised edition", the use of "revised and updated edition" manifests only the subjective choice of the publisher, which may be different from the publisher of a previous "revised edition" of the same work. An English-language edition, from the same plates, films, or files, may be published in different anglophone countries by different publishing companies. For example, Arms & Armour Press in the UK and Stackpole Books in the U.S. published co-editions of various monographs on military matters. A French-language novel published in France this year by a French publisher could become an English-language translation published in the U.S. next year by a U.S. publisher. The logic of co-editions has often been to use the existing distribution systems of the different publishers in each country rather than establishing new distribution systems. Advancing IT and the globalization of publishing have been blurring the lines of what co-edition means. For example, anything published online is effectively published worldwide. Also, large multinational publishers now have existing distribution systems for their hardcopy books in many countries, so they don't need to partner with other companies. They may issue a book under a different imprint for each country, but the imprints are parts of the same parent corporation. The actual manufacturing of the books may be done in China regardless of where the copies will be sold. A library edition may appear to be the same as copies appearing in shops and almost certainly uses the same setting. However, the binding and hinges are made extra strong to allow for the greater wear and tear in library books. This is analogous to the "police and taxi" packages for automobiles, in which heavier brakes and other upgrades are made to withstand harsher-than-standard use and longer duty cycles. A popular book is sometimes re-issued under the imprint of a book club. Often it is a new setting and with cheaper paper and binding. Any photographic illustrations in the original are either absent or reduced in number. Book club editions are sold to members at a good discount compared with the original issue price. After a book has exhausted the market at the high original price a publisher may issue a cheap edition themselves or sell the rights on to another publisher who will produce the book. A cheap edition typically uses a low-cost paper and is a paperback but they can be hardback. Also typically the size of the font is reduced to fit more words on a page to reduce the overall cost of the book. Naturally, for a cheap edition the author will receive a lower royalty but that may be compensated for by a greater volume of sales. During the peak of the British Empire, cheap editions of novels published in Britain would often be produced for sale in the colonies before other editions of the books were sold. The rationale was that books took a long time to export to the colonies, that readership in those settlements was avid, and that books were an effective means to disseminate British values. Australia was by far the largest consumer of colonial editions. Macmillan (London) published the largest number of colonial edition titles. They began in 1843 and persisted (in terms of pricing and trade) until the 1970s. A cadet edition is a cut down version of a book which is more simply written. It is intended for young readers rather than adults. These editions are typically library editions but the font size of the text is much larger than usual so that persons with poor eyesight (often older persons) can more easily read the book. The large print books tend to be of a uniform size. A critical edition is a scholarly publication, containing commentary, critique, and sometimes a full developmental history of the work from all available sources. A batch of identical copies of an iteration/edition of a work that is printed in the same, single execution of the production set-up is denominated a "print run", "printing run", "printing", "impression", or "press run" according to the subjective choice of the publisher. All these denominations denote the action of applying pressure to paper in order to produce the book, and therefore are interchangeable. 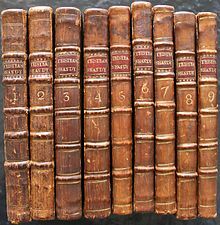 One edition of a work may have any number of printings, e. g. first edition, first impression; first edition, second impression; and second edition, first impression. Books that sell poorly may have only one. Very successful books may have 50 or more. If present, the printer's key in the copyright page of a book can be used to identify the number of the printing in which it was produced. In printmaking, however, an "impression" only denotes an individual copy of a specific printing of the work. A publisher hopes to recoup a large amount of the initial costs of publishing a book from the sale of the copies/impressions produced in the first printing of the book. A variety of commercial and logistic factors are thus considered in deciding the number of books to be produced in a specific printing and their individual price. Demand for additional printings after the first is always hoped for, because they increase a book's profitability. Once the fixed costs of developing, editing, typesetting, etc. have been covered by the revenue of the first sales, any additional revenue tends to add to the profit margin, minus, of course, the costs of the additional materials, printing, binding, and distribution. Sometimes a printing will be unsatisfactory for various reasons, especially printings of artistic and photography books in which the quality of reproduction is paramount. A defective printing is usually destroyed by being pulped, yet occasionally a defective printing is shipped to a distant overseas market and there sold cheaply, contingent on the costs of shipping. If sales of a book do not meet expectations, the remaining stock of a printing will be remaindered. When all copies/impressions of a printing are sold, the book is either reprinted or becomes out of print. Some print on demand and e-book publishers keep all their books perpetually "in print". A "second" is an imperfect or damaged copy/impression which is set aside from the other copies/impressions of a printing. These will usually have their dust jacket clipped or marked in some way to designate their inferiority. Sometimes readers may observe an error in the text of a book and report it to the publisher. The publisher usually records these reprint corrections in a file pending demand for a new printing, before which they are incorporated into the revised text. This is one of the factors that inserts the "substantially" into the definition of "substantially the same setting of type". Many commercially successful books have been republished, either by their original or other imprints. For this reason if a popular book is searched for in a large bookseller such as Amazon.com or a large library catalog such as WorldCat, often an array of different copyright years, publishers, editions, formats (hardcover, softcover, trade, and mass market), and so forth are observed. Because no universal authority or convention determines the exact distinction between a "reprinting" and "republishing" and whether a republishing is a different "edition", the denotation of such denominations is ambiguous, at least at first glance. It thus protects the publisher's investment in typesetting, as well as the processes of design and selection that are reflected in the appearance of the text. [b] It also covers modern editions of public domain works (such as the complete works of Shakespeare), and prohibits the reproduction of the layout (but not the work itself). ^ Duration Directive of the EU permits member states to create a publishers' right in critical and scientific works which have fallen into the public domain. ^ See Newspaper Licensing Agency v. Marks & Spencer . ^ Graeme Johanson, A study of colonial editions in Australia, 1843-1972. Elibank Press, Wellington, New Zealand. ISBN 0958349630. Bowers, Fredson. Principles of Bibliographical Description, Winchester and New Castle, Delaware: St Paul's Bibliographies and Oak Knoll Press, 2005 (reprint edition, first published in 1949). Wikimedia Commons has media related to Book covers of first editions. Bookpoi.com official homepage — a comprehensive online guide to identifying first editions, rare and collectible books. First Edition Points Online Reference Guide is a free searchable database of points of issue for hundreds of modern first edition books. Includes images of cover, copyright page, dust jacket flaps, etc. Pulitzer Prize First Edition Guide is a free searchable database of first edition Pulitzer Prize for Fiction books. Includes images and points of issue. Identifying First Editions, A Primer (from the International On-Line Booksellers Association) Includes discussion on general identification, book club, the reprint publishers, etc., and specific publishers. Glossary, International League of Antiquarian Booksellers — see "Edition", "First Edition", "Impression", "Printing" etc. This page was last edited on 3 April 2019, at 06:52 (UTC).